First trailer for the rave-era drama. Acclaimed on the festival circuit, director Brian Welsh's Beats takes us back to the '90s and the era of illegal raves to tell the story of two young men who plan to take in one last rave before their parents split them up. The movie stars Cristian Ortega, Lorn Macdonald, Laura Fraser and Brian Ferguson, and is executive produced by no less than Steven Soderbergh. 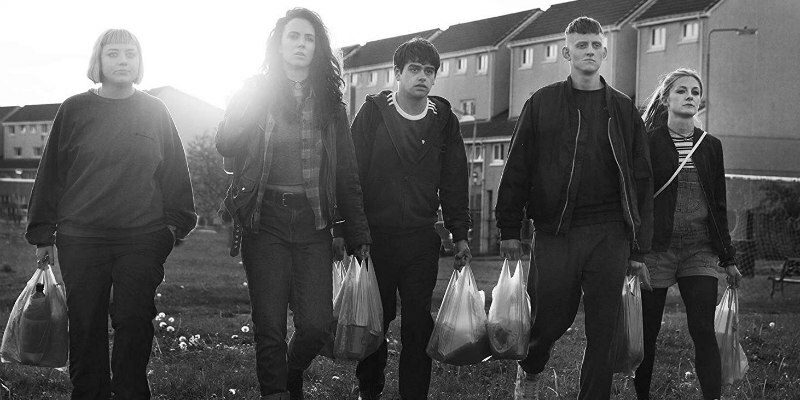 Beats is in UK/ROI cinemas May 17th. Best mates Johnno and Spanner share a deep bond. Now on the cusp of adulthood, life is destined to take them in different directions – Johnno’s family are moving him to a new town and a better life, leaving Spanner behind to face a precarious future. In pursuit of adventure and escape the boys head out on one last night together to an illegal rave before parting ways indefinitely.